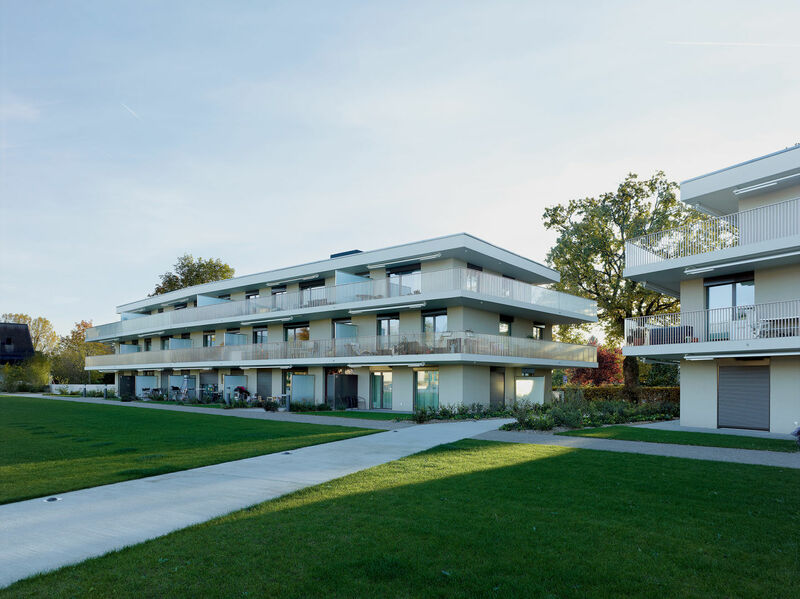 Intergenerational Centre in Meinier is an experimental building complex for better cohabitation between different generations. Peikko provided the punching reinforcement and rebend connectors for the site. 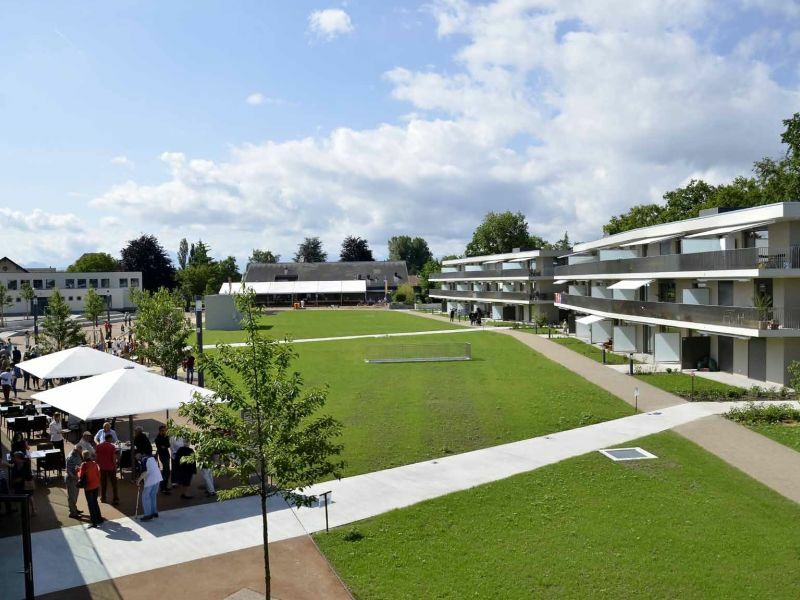 This creation of an inter-generational living and public area aims to reinforce social and communal links at the heart of the village of Meinier. 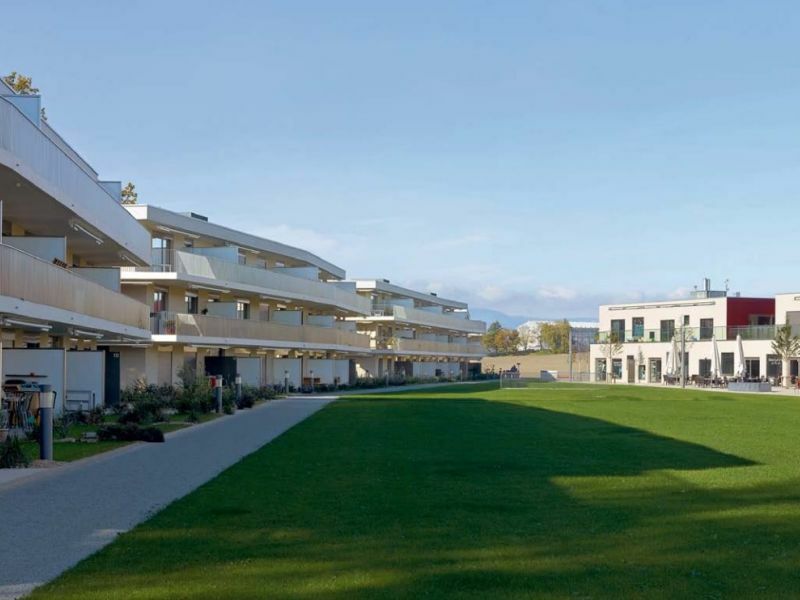 The brief by the municipality is to provide social housing for families, the elderly and people with mobility issues as well as a community space with a nursery, creche, games library, a restaurant, one-stop social and medical advice shop, a multi-purpose hall, an after-school hall, a social hall for the elderly, a shop and the communal bunker. It also includes a redesign of the village centre into a park, playground and open spaces, as well as underground parking. 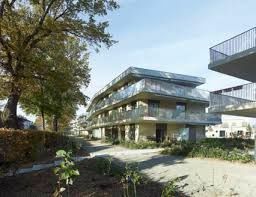 The habitable space, spread over four apartment blocks, is envisioned to house all types of tenants as well as all age groups united in a single mixed area. Apartments of varying sizes and rent levels are mixed together around each stair well so as to ensure social diversity and connections. A communal building houses the public and social functions aimed at the different population groups, also to encourage intermingling. 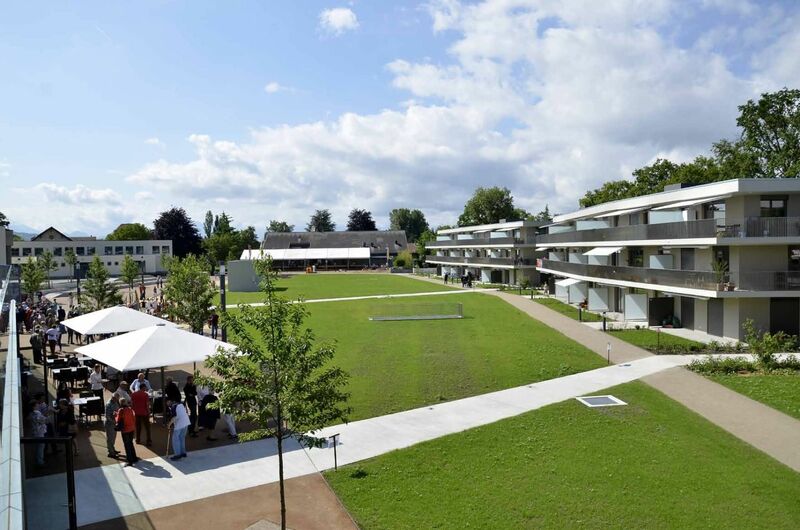 The social housing benefits from above-standard facilities with large balconies or terraces, fully equipped kitchens, a disabled accessible construction and high energy standard. The project prides itself on a high regard for the rural and built environment. It uses a conservative template (the planning permission would have allowed for an additional storey), a discrete frontage and an exterior design that creates a network of public spaces and links in with existing adjacent buildings and neighbourhoods. 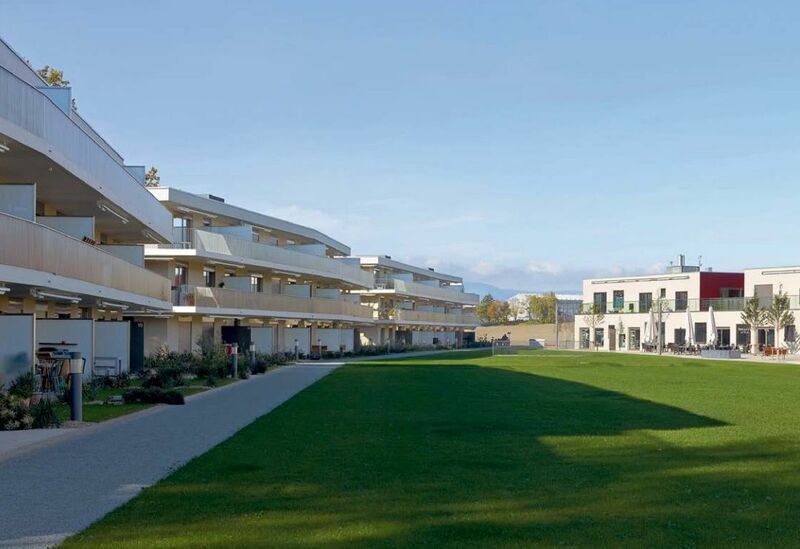 The goal of supporting a communal feel is also present in spaces that encourage social connections, for example through the prominence given to the park, the generous dimensions of the apartments’ terraces, the large size of the staircases, and visual connections between the different functions within the communal building via central yards.